Multi-talented duo THE KIFFNESS have announced their highly anticipated album, KIFF, out 25 August 2014. KIFF is comprised of 12 tracks, among the tracks included are radio smashers: Where Are You Going ft. Mathew Gold; Stepping Out – The Kiffness Remix, Pushin’ On and their latest hit single ‘Find A Way’, featuring SA favourites Shortstraw. The Kiffness are Dave Scott (trumpet, keys and synths) & Mvelo Shandu (bass) - two young men that are bringing a new meaning to the word ‘Kiff’. 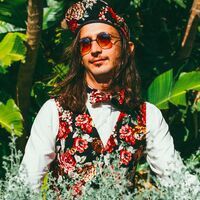 The Kiffness aim to have fans headbanging, doing the running man and even attempting some African pantsula with their mixture of vibey and upbeat “choons”. The secret behind their awesomeness is that they aren’t just musicians; they are performers, following in the footsteps of legends like Goldfish & Goodluck. (P) 2014 Sony Music under exclusive licence from The Kiffness.